Once I accidentally came across a video in which American student who came to study in Japan, told how her life is in a completely different country. Besides the small space where the students lived, he struck the Japanese approach to garbage collection. Despite the fact that the room was tiny, it was placed in several containers, in which students collected various garbage. Every morning came «scavenger» and took away already «categorized» trash for recycling. This episode I remember very much, and it would be just wonderful if the system has taken root in our country. And now we are as loans «cleaning» and «categorization» of debris, only linguistic format, and will investigate the use of English words denoting the trash. In the course of human life litters, litter, throwing garbage, discarded material, throwing rubbish and so on. In English, on the debris also can be said differently: rubbish, garbage, trash, litter, waste, junk, debris. It is time, finally, to spread out the trash on the shelves! Let’s start with the three most used words: trash, garbage, rubbish. These words are called trash, scum, trash. What is the difference? It’s simple. The main difference is that trash — is often «dry» waste, t. E. Boxes, paper bags, plastic bottles. Garbage / ‘ɡɑː (r) bɪdʒ / means «wet» waste, t. E. That can rot, such as food waste. Now, however, the two words are often used interchangeably in American English and in British English it corresponds to the word rubbish. So, a brief conclusion — American English: trash (paper, plastic) or garbage (food waste), British English: rubbish. Take out the trash, please. — Take the trash, please. Throw the can in the garbage. — Throw it in the garbage tin. Heaps of stone, bricks, and rubbish obstructed the approaches. — Heaps of stones, bricks and debris closed approach. For those who are easier to imagine the difference in the values ​​using visual examples, I recommend to watch a short video, which provides a brief and clear description of the difference between trash, garbage and rubbish. Let us examine the second meaning of the words trash / garbage / rubbish — «nonsense, nonsense, nonsense.» In this sense, they are most often used in movies and broadcasts. Maybe you should read a book instead of watching that garbage on TV. — Perhaps you read a book instead of watching this crap on TV. The food at that restaurant is complete rubbish. — The food in this restaurant — a complete mess. I can not believe you’re reading that trash. — I can not believe what you read this nonsense. 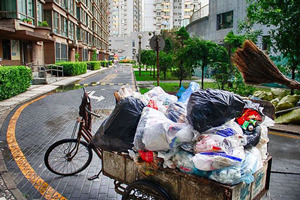 Phrases with the words trash / garbage / rubbish often represent any objects or people associated with garbage collection. Rubbish / trash / garbage bin — urn trash. Rubbish / trash / garbage dump — dump. Trash / garbage man — a scavenger. Trash-talk — verbal sparring, usually with the aim to praise themselves and belittle, demoralize the opponent. The streets were littered with paper and popcorn after the parade. — Paper and popcorn littered the streets after the parade. We decided to pick up the litter in the park. — We have decided to collect garbage in the park. Litter basket / litterbin — rubbish bin. 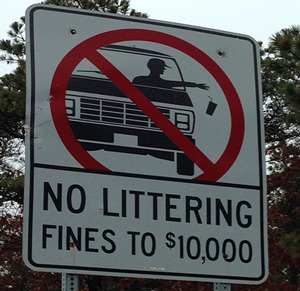 Litterbug — people who litter the streets. We need to find ways to recycle unnecessary waste. — We need to find ways to recycle unwanted waste. He always wasted his money on useless gadgets. — He always spent money on useless gadgets. To go to waste — to waste. Lay waste to — destroy. Waste one’s breath — talking in vain, gab. Haste makes waste — haste makes waste. Waste not, want not — who does not spend in vain, to not know the needs. It’s wrong to let good food go to waste. — You can not afford to waste good food. The teacher saw that she was wasting her breath; children refused to believe her. — The teacher saw that she says nothing, the children refused to believe her. Forest fires lay waste thousands of acres every year. — Forest fires annually destroy thousands of acres of forest. It is a case of haste making waste. — That’s what haste makes waste. Waste (wastepaper) basket — trash. To waste words — to throw words to the wind. Waste of time — a waste of time. Waste of money — a waste of money. Next word for debris — junk. It is commonly used when talking about junk, trash, garbage, t. E. About things that have no value or completely unusable. That car is a piece of junk. — This machine — just old stuff. We decided to junk our old computer and buy a new one. — We decided to throw our old computer and buy a new one. 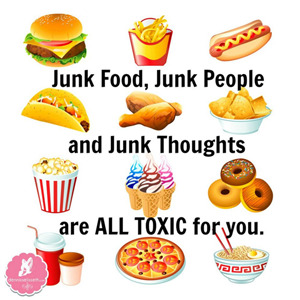 Junk food — unhealthy food surrogate. Junk e-mail — unwanted e-mail messages (spam). Junk shop — second hand store. Everything was covered by dust and debris. — Everything was strewn with rubble and dust. Synonyms designating trash, waste, discard — trash / garbage / rubbish. Rubbish, rubbish, being in the wrong place — litter. The waste, unused or unwanted items — waste. Trash, junk, things that have no value — junk. The wreckage, debris, large debris — debris. Finally, a small task for thought. The famous English proverb says: One man’s trash is another man’s treasure. How do you understand it? Talk?